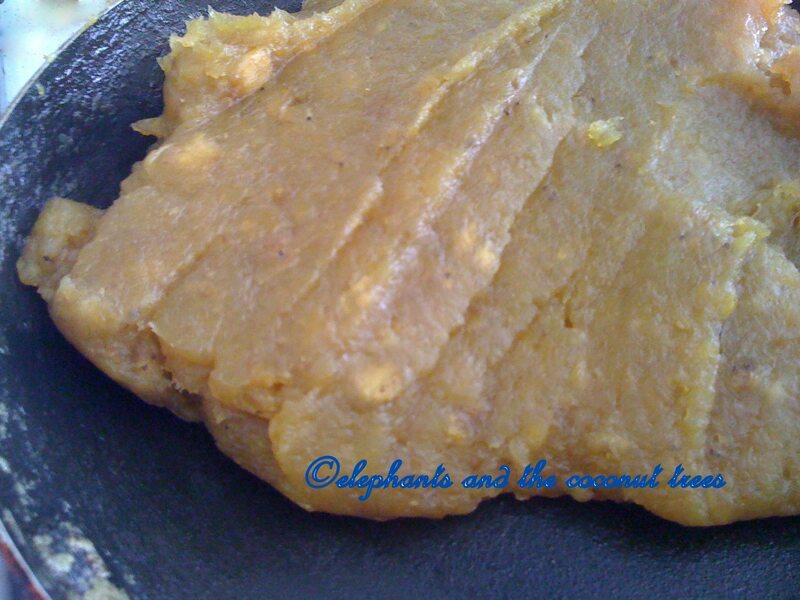 yummy tasting halwa that melts in your mouth. Plantains, like banana, are believed to have originated in southeast Asia, having been cultivated in south India by 500BC. 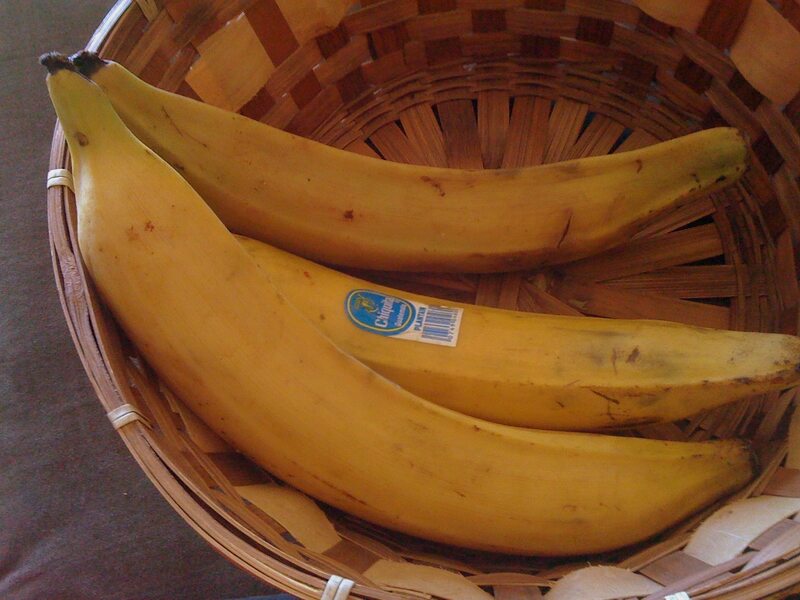 Plantains are different from Cavendish bananas we usually see in the produce aisle .These are more fibrous and used for cooking in many parts of the world .Sweets and savories can be made from plantains which makes it so versatile. 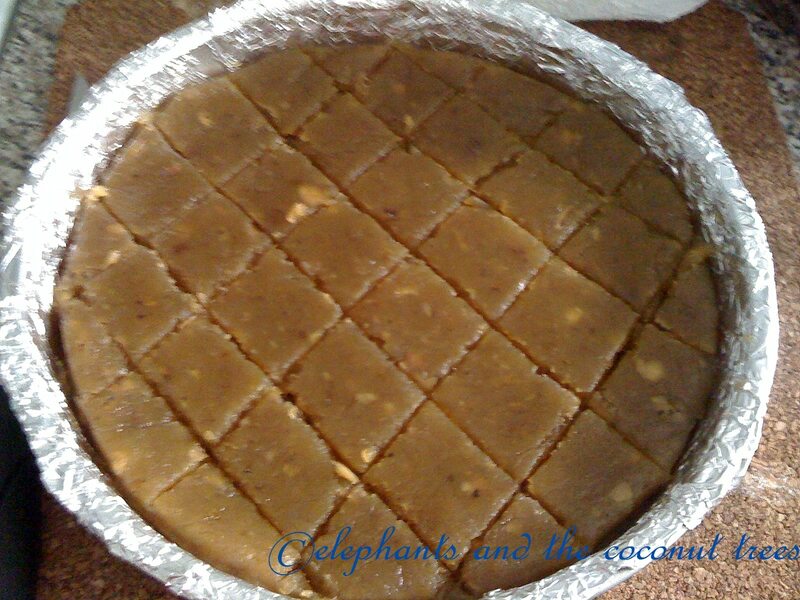 Nendrapazham halwa is a speciality item you would find only in a few bakeries in Kerala but the demand is really high. Call it fudge or halwa,this is a sweet preserve that can be tried out whichever part of the globe u belong to . 1.Peel the plantains then cut into small pieces.I don’t bother to take out the tiny seeds inside. Keep an eye on it and stir . stick to the pan.Ok now u may ask when do i stop stirring? see the butter starting to appear add cardamom powder . Garnish with cashew nuts if u like. Do use a heavy bottom pan. Instead of ghee i have used unsalted butter.In my opinion there is not much of a difference . As u can see I have made this several times.If u ask me, I would say it is not a big labor. The phone gives me company while I stir this dish and before i know the work gets done. Go ahead and make it on a really cold day when the warmth of the stove makes it a happy place to be..